Comfort and convenience create a perfect travelling package in the Bondi 2S, Fixed Bed edition. Sleek and stylish, the Bondi’s 2.2L Mercedes engine drives like a dream. Pull up wherever the mood takes you and enjoy free views as you boil a cuppa in the modern kitchenette. 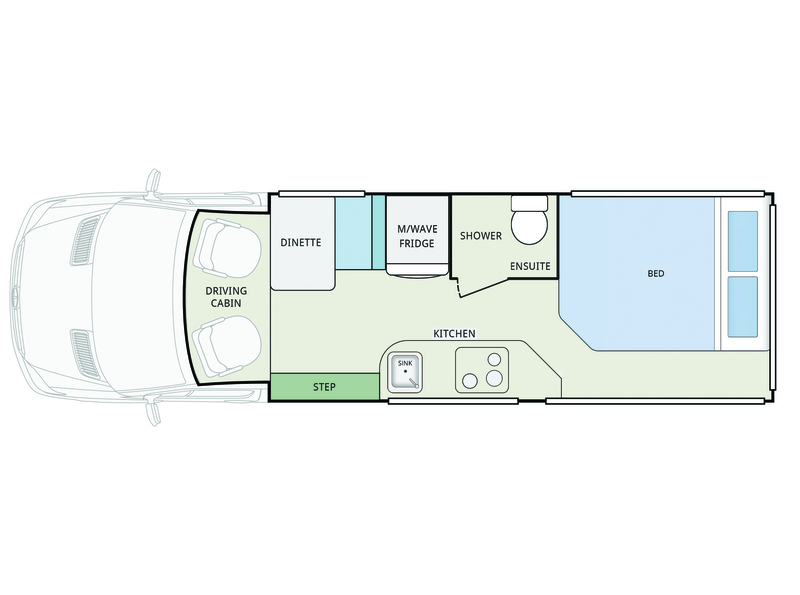 Enjoy a game of cards under your large awning, and sleep in comfort in the fixed Queen bed. This is the lifestyle you’ve been waiting for.